Preventive dental care focuses on the importance of daily hygienic practices that prevent tooth decay and other oral conditions. An effective preventive program combines good at-home care with counseling and chairside treatments by our dental professionals. It’s never too early and a patient is never too young for good oral hygiene. 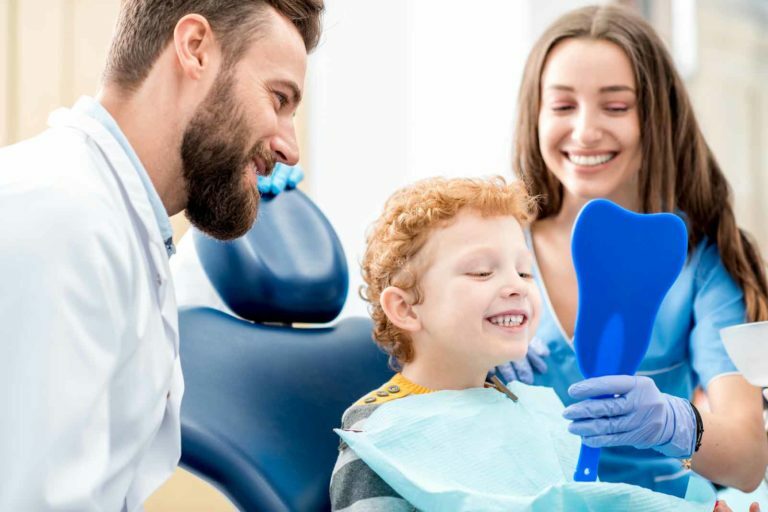 Parents should begin daily tooth cleanings as soon as a child’s first tooth emerges, and they should visit a dentist before the child reaches three years of age. These steps help parents and children establish a solid oral health care and good preventive dental care. Preventive dental care tips for adults and children include a range of in-home and in-office activities, such as those listed below. Hygiene at home: The most vital preventive technique is flossing and brushing after every meal or at least twice per day. Brushing and flossing removes dental plaque, which is a filmy coating that develops on the teeth. If the plaque isn’t removed, it may build up and form tartar, a sticky, hard substance with acid-emitting bacteria that cause gum disease and tooth decay. Use of products containing fluoride: With fluoride, patients may prevent tooth decay and strengthen their teeth. Our dental office provides fluoride treatments, and our dentists recommend that patients use fluoridated mouthwashes and toothpaste at home. A balanced diet: Proper diet is crucial to patients’ dental health. Foods rich in carbs and sugars feed plaque-producing bacteria, while diets low in calcium increase a patient’s chances of gum disease and bone loss in the jaw. Dental screenings and regular cleanings: A twice-yearly dental cleaning will remove accumulated stains and plaque while allowing the dentist to check for decay symptoms. In some cases, the dentist may apply a sealant to the back teeth to protect them from decay. X-rays: With x-rays, our dentists can look for hidden signs of dental problems, such as those below the gum line and in between teeth. Orthodontic appliances: Malocclusions (bad bites) can inhibit speaking and eating, and it’s hard to keep crooked teeth clean. With orthodontic treatments such as dental braces, patients may limit the possibility of future issues. One of the most important preventive strategies for patients is to limit smoking and drinking, as all have negative effects on oral health. When patients understand the potential outcomes of poor dental care, they’re more likely to see a dentist to get the treatment they need.